Kaley Cuoco and Ryan Sweeting may want to look into cleansing their new home with sage. Khloé Kardashian and Lamar Odom's mansion — which the newlyweds just purchased — was burglarized. Among the stolen items? Hundreds of thousands of dollars worth of jewelry (both Khloé and Lamar's), and sources tell that the Kardashians believe it was an inside job. Kardashian, 29, filed for divorce on Dec. 13, 2013, citing "irreconcilable differences." 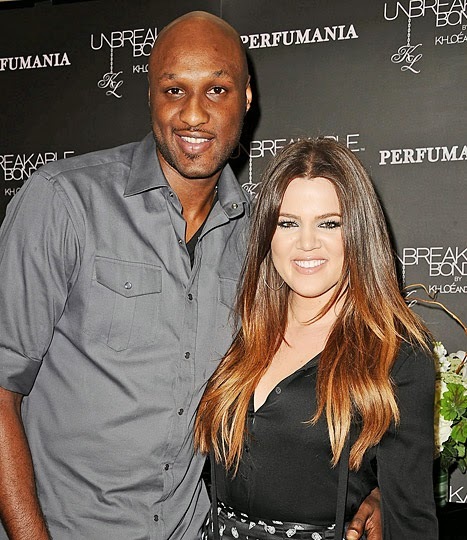 The news hardly came as a surprise after months of substance abuse and infidelity rumors surrounded Lamar. Here's hoping things work out better for the "Big Bang Theory" actress and her tennis pro hubby. But seriously … white sage some of those rooms!